Why inject methotrexate for RA? There are 3 main reasons that methotrexate injections may be used instead of oral tablets. Methotrexate side effects may be much less with injectable methotrexate. More methotrexate is absorbed with injections, so often it works better to fight RA. A higher dose can be administered with injectable methotrexate than is tolerable with oral methotrexate. Is all methotrexate for RA the same? There are major brands like Trexall or Rheumatrex, but methotrexate comes in generics as well. With a drug as old as methotrexate, the generics are considered virtually equivalent. However, using methotrexate from the same manufacturer each time is best. 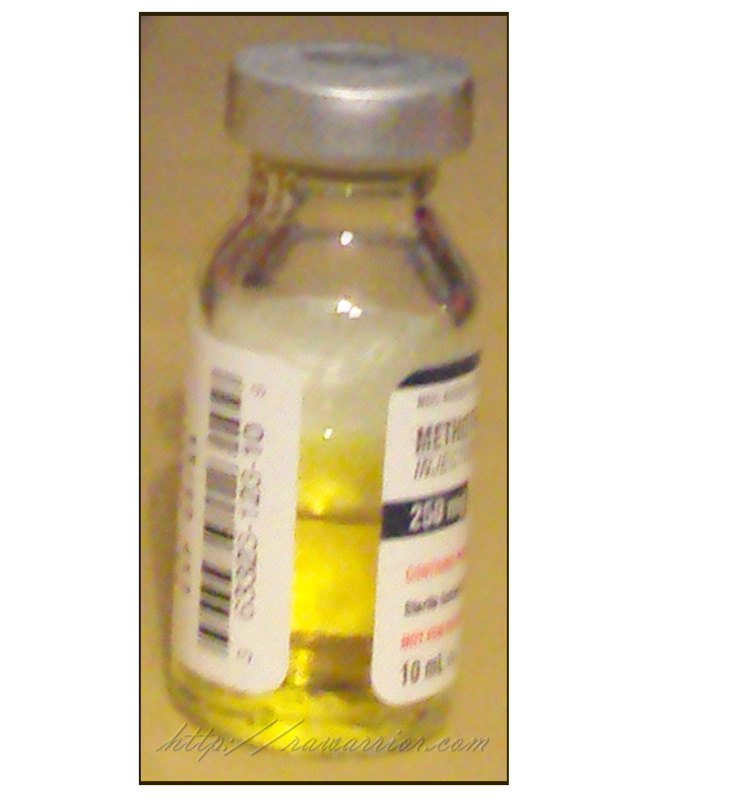 Injectable methotrexate comes in cute little glass vials so you see its revolting yellow color. The bottles are different sizes. Some are intended for using a single time and then discarding. Larger bottles can be used several times. It’s much easier for RA hands to use the larger bottles. 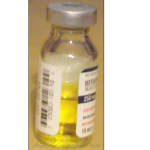 If a methotrexate vial is being reused, it ought to contain preservatives. The preservatives are added to prevent deterioration of the medicine or inhibit growth of bacteria or fungus. Preservatives are particularly necessary to maintain sterility of medicine intended for multiple use. Pharmaceutical preservatives contain antioxidants or antimicrobials. The antioxidants may be familiar things like vitamin A or citric acid. There are also some synthetic preservatives. Methotrexate does come in a preservative-free form for those who have shown hypersensitivity to pharmaceutical preservatives. My own injectable methotrexate prescription has been filled several different ways. I finally learned to inquire of the pharmacist each time. I just ask: “How many times am I intended to use this vial? Does this methotrexate contain preservatives?” Otherwise, it is possible to request exactly what I need in advance. There have been times when all that was available were larger bottles in a preservative-free formula. Imagine how difficult it was for a thrifty girl like me to throw away almost full bottles because the pharmacist told me it was not safe for a second use. Perhaps that sounds overly cautious. However, infection is the arch rival of an RA’er living on immune suppressing medicine. Preventative first aid, as I call it, is an art that we attempt to perfect. Click here to read part 2 of Methotrexate Injections for Rheumatoid Arthritis: Needles. I never thought to find out if I was to use the entire bottle or not. I just did. Guess I should call them and find out… Thanks for the info! You are so smart!! I like the part about the cute glass vials and “revolting” yellow color. Gave me a good laugh. It is a revolting color. I bought my first batch directly from my rheumy’s office. I am waiting to hear if my insurance will cover it that way, They should because I was getting the shots in the office. Otherwise they want me to buy it from their mail order pharmacy, won’t cover me buying it from my regular pharmacy. Falls under medical coverage and not prescription because it is a “specialty drug”. Kind of silly if you ask me. Fortunately the other thing about MTX is it’s cheap cost. Not that we can put a price on any of our drugs if it helps us with the RA, but you know what I mean. Dare I say, but I think it’s starting to work for me too. Injectable methotrexate is extremely cheap. If your insurance is annoying, you can just take a prescription to WalMart and buy it from the pharmacist. It is the cheapest DMARD. Glad to hear it is starting to work! Yeah it is weird, my CVS Pharmacist said he would get it for me no problem, my health insurance said you have to buy it from our specialty pharmacy. I think insurance co. just wants to make some money that is all. I don’t mind getting meds in mail, but his one in particular I would rather get from doctor or my own pharmacist. I also get my blood profile done every 4 weeks so I agree. True I’ve been on the injection for around 2 years now. My doc wanted me to use the whole bottle even if it wasn’t with preservatives, but I date a pharmacist and he said to request it with preservatives which is what I do now. BTW, the yellow STAINS if you get it on clothes, so be careful. I used to have severe nausea w/ the pills, but I can take a whole CC injection with no problems. Intestinal side-effects are reduced a LOT. I had terrible side-effects, fatigue and nausea, with the pills. We are reconsidering some med changes, and I will talk to my rheumy about the injectable kind. Thanks for the heads up! I MUCH prefer the injections to the pills. The gastro side effects are so much better. This conversation is interesting. My pharmacist told me that the MTX ONLY comes in the 2cc bottles. Hmmm. My dose is at .7 now so I do get some left over each month. I re-use the bottle. That’s ok because my first injection were .5 and I only got one bottle. It isn’t possible to not lose some when filling the syringe. Also, my nurse told me to inject into fat, so did the internet site I went to to learn how to do it. I saw my doc yesterday. She started me on Humira. I asked if my insurance covers it and she said that the only way they can find out is to actually prescribe it and see what they say!!! The nurse called my insurance company and spent about 15 minutes to learn that it has to be ordered from their specialty pharmacy and that they would “get back to her” on whether or not it was covered. We still haven’t heard. How silly is this? The game is that the doc orders a med just to see if it is rejected. If it is, then they order a different one and so on until they find one that is covered. Why the game? Oh, also, I was told that because of a glitch in the insurance system, patients are being denied MTX starting on Jan. 1 because it has been put into the insurance systems as only being approved for cancer patients. Now the docs office has to call each time. Thank goodness it is cheap! I’m happy to just pay for it. Yes, thank goodness mtx is very cheap. After years of not taking any methotrexate, I started with the injectable last week. Not having to deal with the side effects of the pills is worth looking at the “revolting” yellow color. I love this site, it has given me a connection to others that I wouldn’t have had before. Thank you. My insurance doesn’t cover anything injectable, but I just started developing an ulcer from the pill form…my insurance won’t cover biomeds either (injectable) so we’re not sure what to do anymore. Based on the ulcer issues alone, I’d say injectable would be way safer! Also, do you use meds to protect your stomach? When the pills were prescribed, did you start on omeprazole magnesium or something similar? Maybe this page would help you or another reader: Help with methotrexate side effects. Page 6 of RA /mtx pages. I’ve had RA for about 11 years now. Now, she is gone! dunno for sure what happend, but I haven’t been on ANY meds except for pain and I feel a bad flare comming on and I have to get established with a new DR.
Sue! Glad you found us too. Good luck with finding a new dr. Maybe this link will give you a useful tip getting a new doc. I had terrible side effects from the pills – and I was only taking 5 mg a week. My body revolted! So my rheumatologist suggested the injectable version. I remember very clearly that when I bought it some 16 years ago the cost was $36 for the bottle that would last me about 6 months. My insurance had a hissy fit. Turns out my insurance company was happy to pay $150 a week for me to go to my doctor’s office and have them inject it, but not me! So I paid cash for the bottle. I stayed on the injectable for about 3 years until I had to begin traveling internationally quite a bit. Frankly, I didn’t like the idea of lugging syringes around. So the doctor suggested that I go back on the pills. I gave it a try and no side effects. My body by then had adapted to the toxin. I’ve been on the pills ever since. Thank you for sharing that experience. Very helpful. I know we can adapt to medicines, but sometimes it’s hard to push through to that point. I have even heard of starting over w/mtx successfully after having to quit. I started the injections in April, the side effects are lessened with the injections over the pills. It has it’s issues some weeks but has definately helped. I’ve been injecting MTX for over a year now with no side effects other than fatigue – but even that hangs around a lot less than it used to!! I injected a high dose of mtx for about 2 years. I prefer it over the pills and it was cheaper for me than the pills. I would be fatigued the day of and day after my injection. It has been a godsend for me. No side effects, and it works better than pill form. Preservatives: per doc if you have more than one dose in a bottle, preservatives will ensure no bacteria forms. Just to add; one need not go to a doctor for the methotrexate shot. One can take it himself/ herself (subcutaneous). Log onto http://www.arthritissupportboard.com/how_to_self_inject_methotrexate.aspx for details. Great site, thanks for all your efforts. I’m about to sneek a peak at the RA kitchen. Need to change my diet big time…. I just LOVE LOVE LOVE this site! You have all given me the support and courage to try the “needle” vs the pills! Big hugs to you ALL out there! THANK THANK THANK you! ♥ Good luck. My Doctor told me i had Rheumatoid arthritis, he gave some two injections but he told me that they will affect my fertility.is that true. I am just about to switch from oral to injectable MTX as I have tried but can’t seem to really handle the side effects orally. I honestly felt like I had been poisoned after my last dose and finally got that this medicine is a serious chemotherapeutic and cancer agent and feels like it when you take it. I am hopeful I can tolerate the injectable form better. I am a physician myself so wasn’t too squeamish at the idea of a needle, but felt devastated at my determination to use it. It let me know how the management of RA has consumed my energy since my diagnosis which was just a few months ago. I had no idea how much of a battle I was in for when I learned what my rheumatologist really thought was going on. 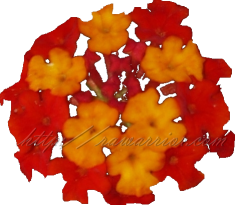 I am having to gradually acknowledge I am becoming an RA warrior myself and plan to use everything I can to continue living the life I have been while I am watching it shrink in scope due to the disease. I will end by saying this site has proved invaluable to me. I don’t think anyone but other patients can really know what this feels like. Insurance coverage for RA meds is confusing. I did get my vial of methotrexate and my insurance covered the syringes and not the medication. I got a ton of syringes which will take me a year or more to use….but the 30 dollar vial was payed for by me. I am of course fortunate to be able to do that but have no idea how that happens. It is bad enough we feel crummy enough to inject ourselves with our needed drugs. Surely they are approved and widely used this way. It stinks to battle a disease and have to argue with your insurance company to get what you need. And why they approved Celebrex and not this when that has been my most expensive med so far also makes no sense. I can see I will be making some phone calls to my insurer. We must advocate for ourselves. It is the only way things can change. Methotrexate tablets or Methotrexate injections DO NOT work for me. Methotrexate CAUSES hair loss too. I have had Rheumatoid Arthritis for 15 years now and it is very very painful along with swelling and symptoms and flares. Not sure what to do or what to take for it. I see a rheumatologist doctor and also see a rheumatology nurse. I have a questiion . I inject 1 ml off methotrexate weekly since July 30 2015 .Since the 19 September 2015 I have a fruity taste in my mouth and also a fruity body odor very disagreeable. Is that a side effect of meto ? I have osteo arthritis an rheumatoid arthritis. I have recently been put on the liquid methotrexate 0.6 ml a week. does this medicine need to be refrigerated? My pharmacist never said it did but then someone told me it does need to be. If using Methotrexate WITH preservatives, after opening and using once, does the remainder need to be kept in the refrigerator? If it’s a reusable container (more than one dose in the bottle), I’d refrigerate it. Ask you pharmacist when she recommends when you buy it. I have just been moved from tablets to injection today! The nurse instructed me to keep it in a cabinet away from light- refrigeration not necessary. My doctor is talking about something like and EpiPen automatic dose. IS this new, and is it easier to administer and less pain? It’s been out a couple of years & is easier than drawing a needle up yourself. Also you don’t have to look at the needle. It’s more expensive, so your doctor would need to help you get the copay help plan that the manufacturers offer. As far as pain – it’s not a very painful shot – but it is a shot either way. Just wanted to say that after reading your website, you have given me the courage to call my rheumatologist! I have been putting it off due to the fear of the medications and their side effects but my flares are increasing. I don’t like needles but will be asking for that instead of tablets to avoid some of the effects. Could you tell me if hair loss is any more or less with injections? Being peri menopausal, (thyroid numbers good), I already have some hair loss occurring and really don’t want more. It’s very hard to predict, Kelee. I do know injections can be more effective (because more medicine is absorbed directly) and have less stomach side effects. “Why inject methotrexate for RA?” Here is reason #4: if you have two congenital esophageal strictures which narrow the normal one-inch-in-diameter adult esophagus to 1/4 inch (think a long thin balloon tied at each end), it is impossible to swallow the tablets whole. (Trying to do so is futile, as the tablet would get stuck at the top stricture and require an emergency endoscopy to remove it). Even crushing the tabs and mixing the powder with food usually tastes extremely yucky, as regular tablets are not meant to be chewed or mixed with food. Admittedly my situation is quite unique, as very few RA patients also have esophageal strictures, but I thought I’d throw in my 2 cents worth!